Multiple people were injured after a man opened fire in a tram in a residential neighborhood in the central Dutch city of Utrecht early Monday, police said on Twitter. Dutch police said they were investigating whether there was a "terrorist motive" behind the shooting. Police have not taken any suspects into custody following the shooting that took place in 24 Oktoberplace, which has now been cordoned off. 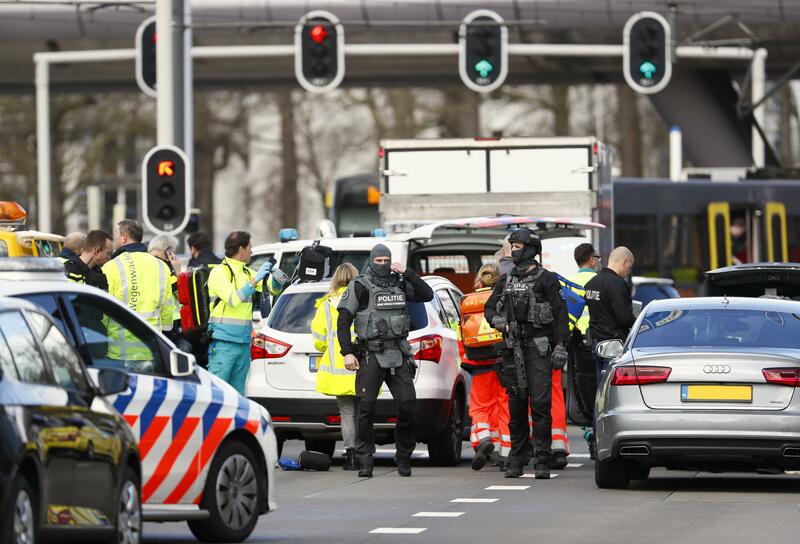 "A possible terrorist motive is part of the investigation," Utrecht police said on Twitter. Trauma helicopters were sent to the scene and first responders attended to those injured in the incident. On Twitter, local media outlets shared photos of masked, armed police and emergency vehicles in the area. Pieter-Jaap Aalbersberg, the head of the Dutch national counter-terrorism service, said on Twitter that he was having "crisis consultations," adding: "Terrorist motive not excluded. Information not yet full." One eyewitness told Dutch news site NU.nl that "a man started shooting wildly." The suspected perpetrator is still at large, Dutch media said.